At Just Say Yes we love bridal showers!!! Bridal showers are the perfect opportunity to implement a fun theme and make it reflect yourself the bride. Our wonderful client Isenia Hererra will be celebrating her shower this August and has sent us one of her gorgeous invitations. We love when brides get creative and Isenia came up with a wonderful design with pink and back the colors of the shower. We love the unique element of a black feather and we have been assisting her with floral and implementing the feather into the centerpieces. Here are a few snapshots of her wonderful invitation and we hope you too are inspired!! 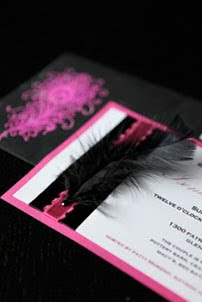 Gorgeous pink cardstock with satin ribbon, black feather & rhinestone. 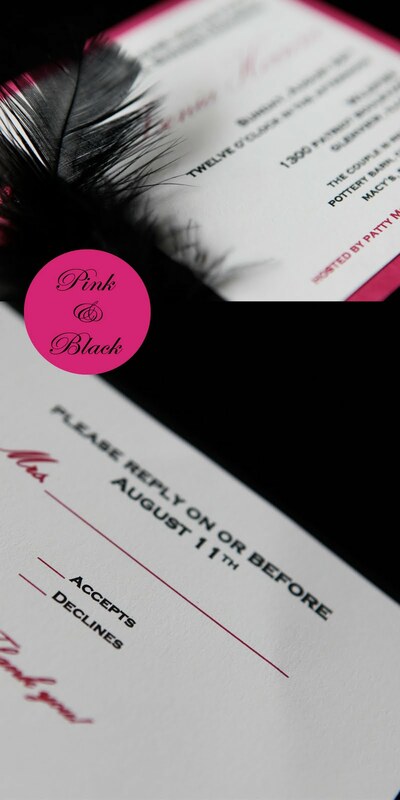 The envelope for the invitation had a beautiful embossed feather decorative element.